"Do you know what people have been calling the New Year here? Dois mil e doce (two thousand and sweet), because doze (twelve) sounds similar to doce (sweet). So a very very sweet year for you, too!" I hope the year is sweet for all of you. 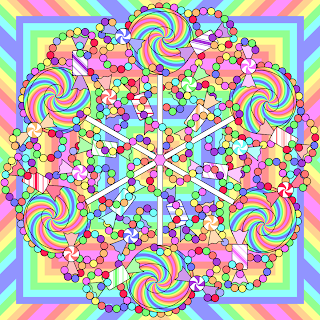 Click on the candy mandala for a larger version. Transparent PNG as usual! 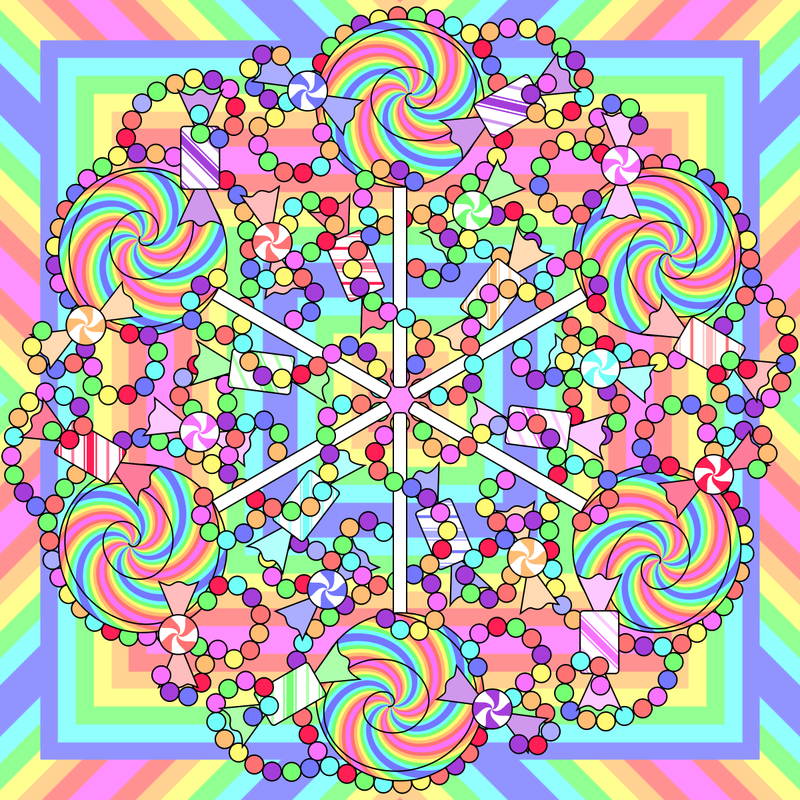 Last year was the first time I started drawing mandalas on a regular basis, and it's a habit that I plan to keep. make lots and lots of things and write tutorials for them! The last one is easy. I've been going to the gym with an old friend regularly for water aerobics, which is a lot of fun because it's easy on my arthritis and I get to chat with her while we work out. My husband wants us to start lifting weights again as well. For the list of nearly painless ways to help out local charities, I'd love suggestions! I'd like to post that in the next few days. If you want me to link to your page, include it in comments or email. You can email me at shala (at) donteatthepaste (.) com. The F.A.Q.- well.. honestly it's something I've meant to do for the last couple of months. So hopefully it gets done soon. Tutorials- Working on one now for bird cage veils! The e-book will take a bit more time. I hope it truly is two thousand and sweet for all of you!